For Dr Melanie Nieuwoudt her doctoral studies on beer brewing are much more than just an academic matter. She will be putting the knowledge she has gained over the past four years into practice by opening a micro-brewery in the Cederberg on the Nieuwoudt family farm, Kromrivier. Dr Nieuwoudt is one of 18 graduates of the Faculty of AgriSciences at Stellenbosch University who receives her doctorate on 24 April. Findings from her PhD studies in food science now make it possible for brewers to consistently, time after time, make a beer with a stable foam head as well as a longer shelf life. Through her studies she identified five biochemical aspects which in combination can reliably predict the quality of the end product. For two of these she developed fast and easy biochemical testing methods herself. This makes it possible to test for the presence of specific flavour-related enzymes and anti-oxidants in barley malt – one of the most important ingredients of beer – and to group malts accordingly. Because brewers can thus predict the incidence and concentration of these enzymes and anti-oxidants in barley malt, they can limit production losses that might have been incurred due to substandard raw materials. Dr Nieuwoudt also found that a tiny protein, lipid transfer protein 1 (LTP1), helps with the development of beer foam as well with ensuring flavour stability. The taste and shelf life of the end product depends on the amount of enzymes or anti-oxidants which occur in a supply of malt – qualities which brewers can now test quickly and in advance, thanks to Dr Nieuwoudt’s new methods and methodology. The anti-oxidants in malt help to capture a specific taste. A certain enzyme called lipooxygenase-1 (LOX-1) is respondible for the development of a negative flavour component, and causes beer to acquire an unpleasant taste after a period of time. “Beer’s shelf life is usually about four months, but it can be less due to the presence of not enough anti-oxidants or too many LOX-1 enzymes,” she explains. Some of her findings will be published shortly in the international Food Chemistry journal. Her studies, which entails quite a bit of biochemistry, were completed under the guidance of Prof. Marina Rautenbach of the Department of Biochemistry and Prof. Marena Manley of the Department of Food Science. 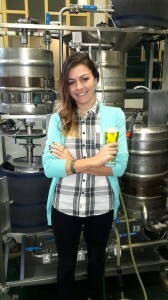 Her results are already being applied by the multinational brewer SABMiller, one of the funders of the project. 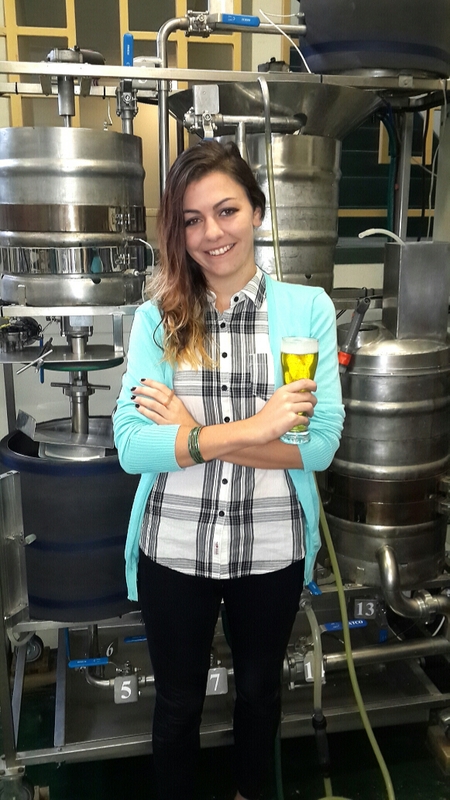 And now she is going to put her knowledge into practice to develop the Ceder Brew range of beers on her family farm. “No, I am not one of the winemaking Nieuwoudts of the Cederberg; instead I’ll soon be one of the brewing Nieuwoudts of the neighbouring farm,” she responds quickly when asked about her future plans now that her research work is over. Her family has lived on the popular guest farm Kromrivier, close to the Stadsaal caves, for seven generations. Distant relatives on the neighbouring farm are responsible for Cederberg Wines. Construction of the Ceder Brew brewery will start soon, according to Dr Nieuwoudt’s specifications. The labels for the beer bottles have already been designed, and acknowledge the variety of indigenous fish species found in the Krom River. If everything goes according to plan, visitors to the Cederberg should be able to crack their first bottles of Kurper Ale, Yellowfish Lager, Sand Fish Weiss and Chubbyhead Stout by the end of the winter. “I have given myself a year to launch the brewery, before I have to start looking for work more seriously,” she sets out her future plans. Her sister, Tania, who is currently doing a master’s degree in logistics at SU, will then take the enterprise further.